As the carefree days of Summer along the Connecticut Shoreline begin drawing to a close, you can save yourself considerable anxiety and trouble by preparing your residential or business septic system for the cold and snowy Connecticut fall and winter months. Here are three simple tips to prepare your septic system and minimize the potential for an issue during the winter months. Mark Your Septic Tank Access Area and Clear the ground around your septic tank – During Spring and Summer, it’s relatively easy for a Septic Tank professional to find your tank access area – the ground is clear, and it’s not frozen. This is less the case in the winter months. 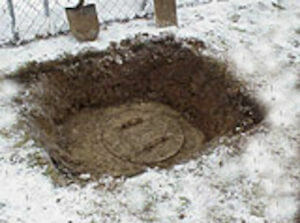 One way to prepare your septic system for winter is to use a stake to mark the position of your access cover. Also, are the lounge chairs still hanging around from summer? What about the yard work tools and equipment left on the lawn? All of these things, as well as leaves and other natural debris, should be cleared from the area around your septic cover and leach field to ensure your system is easily accessible in an emergency. Move heavy vehicles such as lawnmowers and automobiles that can damage your tank and drain lines if parked above your system. 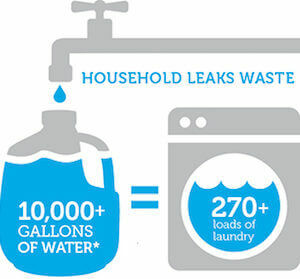 Be “water wise” – according to the EPA, the average family can waste 180 gallons per week, or roughly 10,000 gallons of water annually, from household leaks. Given this, you should do everything you can to minimize the amount of water flowing into your septic system. Repair leaky faucets and toilets and consider installing low-flow water fixtures to help conserve water and avoid putting added strain on your septic system during fall and winter. Outside, do your best to divert other waters sources (e.g. surface water, sump pumps, downspouts) away from your septic system. Be safe instead of sorry – do you suspect there may be a septic system issue? Are flushes slower than normal or are you detecting odors? A routine inspection can help prepare your septic system for winter by ensuring small problems or issues don’t become unmanageable, which means you’ll have the peace of mind knowing that you won’t wake up to a disaster. What’s more, regular maintenance is one of the most important things you can do to maintain the health of your septic system—and late summer is a great time to service your tank. 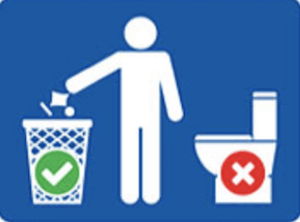 One final word of advice which is applicable regardless of the season: don’t think of your toilet as a garbage can. The more you put down your septic, the more often you will have to get it pumped. The system is designed for one thing: to process bodily waste. Minimize (or eliminate) any other solid objects, including food from your garbage disposal, paper towels, medications and other trash that can clog the system and prevent proper draining. Seasonal maintenance is one of the best ways to make sure you get the most out of your septic system investment. Still have questions? Give us a call or Contact Us! At Engineered Septic & Sewer, we are ready and waiting to help you with all of your septic system needs.